Looking for a different pie recipe to serve at your next meal. Try a delicious egg custard. 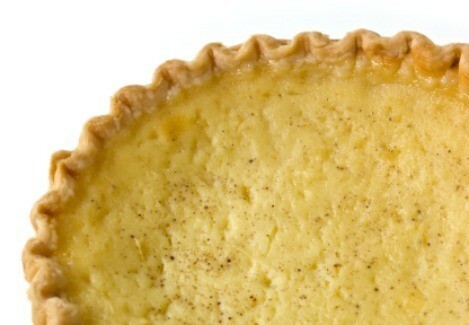 This page contains egg custard pie recipes. Eggs, milk, vanilla, and nutmeg make this my favorite pie in the custard family of pies. Grease and flour a 9-inch glass pie pan. Make sure all areas are covered. Combine flour, sugar, and salt. Stir in milk and vanilla. Bake 40 minutes or until set at 350 degrees F.
Blend together until mixed. Pour into frozen pie shell. Sprinkle with nutmeg. Bake at 350 degrees F for 45 minutes or until center is set. Beat eggs and blend in sugar and salt. Scald milk and pur over egg mixture, stirring constantly. Add nutmeg and vanilla. Pour in pie shell, which has been baked 5 minutes. Bake at 450 degrees F for 10 minutes. Reduce heat to 350 degrees F and bake 30 minutes longer or until custard is set. Beat eggs slightly, then add sugar, salt, nutmeg, and milk. Beat well together and pour into unbaked pie shell, then bake 40 minutes in 350 degrees F oven. Sprinkle with fresh ground nutmeg.